There are two machines in Greenfield Village and both are out in front of the Village gift shop, by the Village entrance. Both machines have four designs and are 51¢. 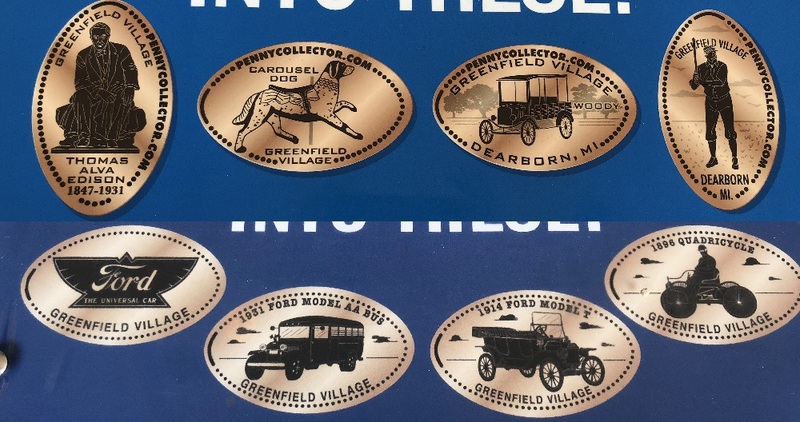 All designs have the text "Greenfield Village" and one machine has the text "pennycollector.com"
zbanks547 added Greenfield Village to system.